Combine sugar, juices and fruit in a pitcher. Stir to dissolve sugar. Let chill for several hours. Before serving, dissolve coffee with a tablespoon of hot water in a large glass. Add a cup of the juice mixture and stir to fully combine. Add this coffee mixture back into the sangria pitcher and stir to combine. Right before serving, mix in the soda water. Combine the zest with an equal amount of sugar. Dip moistened rims of tall glasses into the orange-sugar mixture for a sparkling visual and flavor. 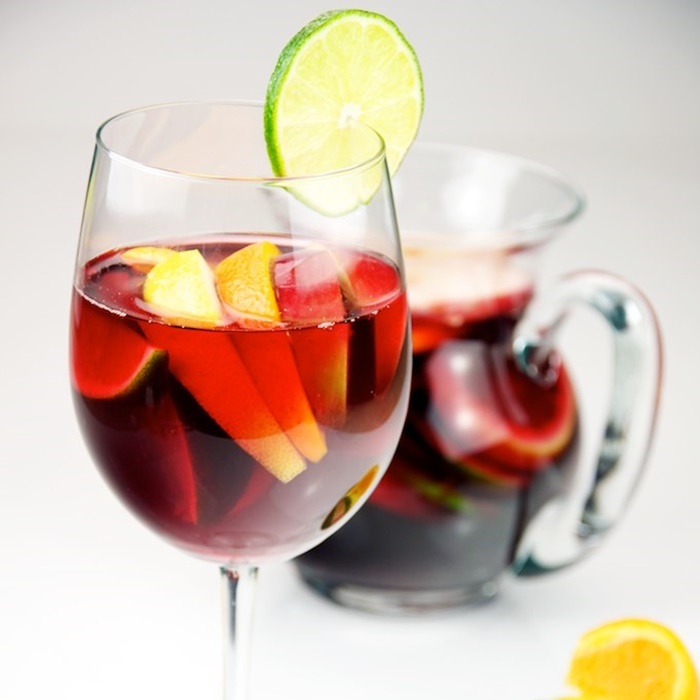 Fill the glasses with sangria mixture.